A vacation to Walt Disney World can be made even more magical when you add on a Disney Cruise. With conveniently located ports of departure in Port Canaveral and Miami, an amazing Disney adventure at sea is just a drive away. New ships, new itineraries and re-imagined on-board enhancements make a Disney Cruise the perfect addition to any trip. Worried about cruising with small children? Don’t be. 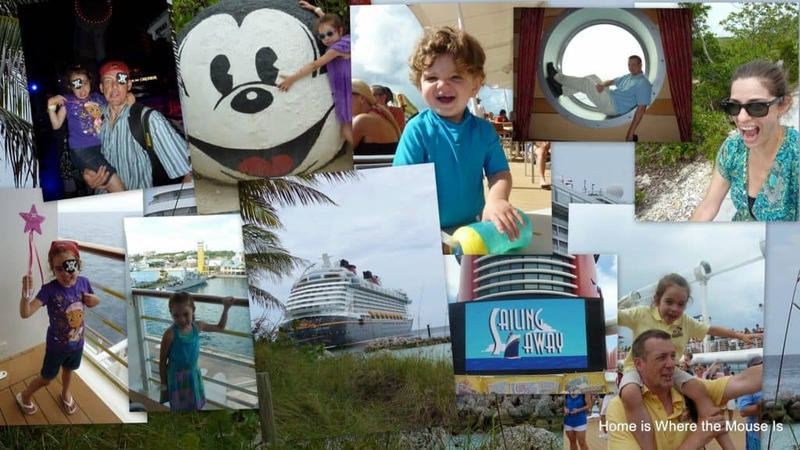 Disney has dedicated areas for all ages, including a nursery for your littlest cruisers, and kids clubs that your toddlers and pre-teens won’t want to leave. But before you say “bon voyage”, there are many decisions that have to be made. The expense of adding a Disney Cruise may be too much for the average yearly vacation. You might want to save booking a cruise for a special time. Occasions such as birthdays, anniversaries, graduations, and family reunions are a great time to add on a cruise. Cast members will go above and beyond to make sure your celebration is as magical and as special as possible.Once you have made the decision to go, you need to consider how your cruise will fit into your WDW vacation, or vice-versa. In the past, guests were able to select a Land and Sea experience (visit the Disney Cruise Line site as this offer intermittently becomes available)But, you could also create your own Land And Sea Disney dream vacation by booking your Resort and Cruise separately. This gives you more flexibility in choosing your favorite Resort and pairing it up with the perfect Cruise. Like Resort rates, Cruise prices will vary throughout the year, with cheaper rates in the off-season, and higher rates for peak-season. Itineraries will also vary throughout the year, as some ships change departure ports or sail for different lengths and different ports of call. 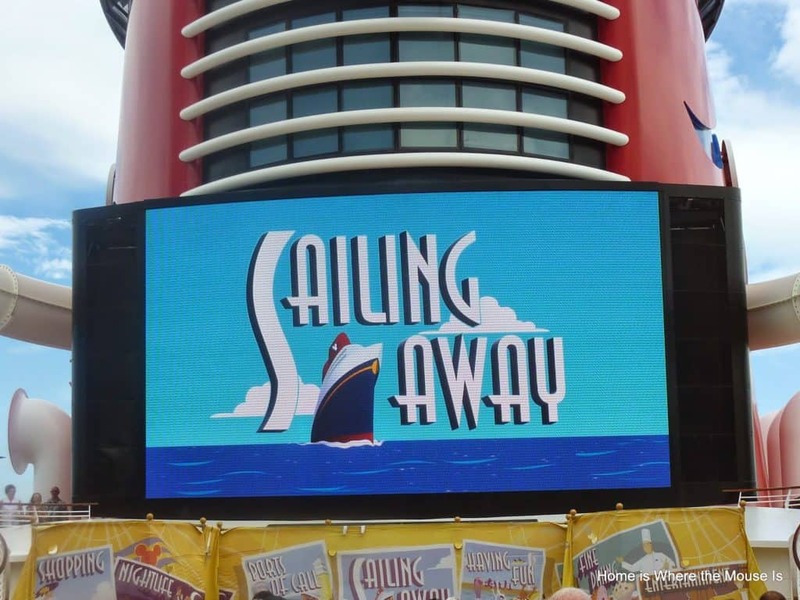 With sailing dates departing and returning on set days of the week, it may very well be that your chosen Cruise itinerary determines the window for your Walt Disney World Resort stay. Your budget and amount of vacation time available are usually the most important factors in determining the length of your cruise. 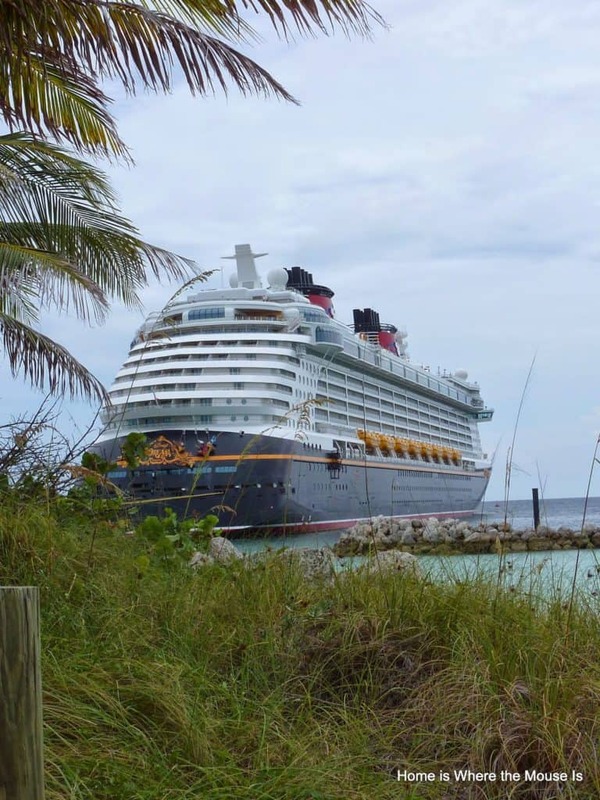 Disney Cruise Line offers regular cruises from 3 nights up to 7 nights. Occasionally, there are longer and sometimes shorter sailings available. 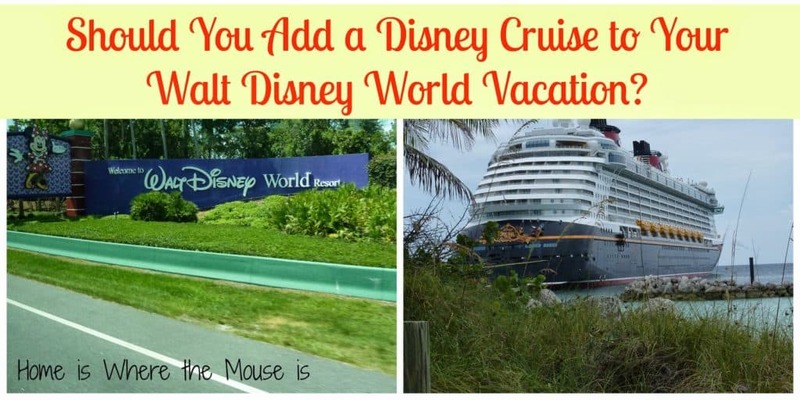 Generally, your choices will be between a short 3 or 4 night cruise to the Bahamas, including Disney’s private island, Castaway Cay, which is incredible!! The longer sailings out of Florida will take you to ports in the Eastern or Western Caribbean, also stopping at Castaway Cay. If you’re new to cruising, or just want to make sure you maximize your time in Walt Disney World, then a short 3 or 4 night cruise is a great choice. 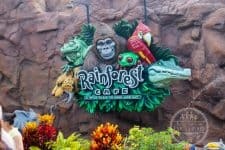 Those of you who are cruise fanatics may opt for the longer Disney cruise paired with a short stay in Walt Disney World. Cruise before WDW? 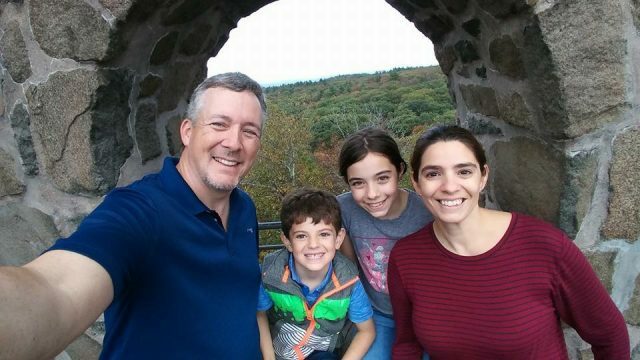 WDW before Cruise? Or Both? Cruising before your WDW vacation will take away the vacation let down that is always felt once you set foot on dry land. You’ll still have a whole other vacation to look forward to! However, those that suffer from post cruise motion sickness might not want to jump right on rides especially not until they’ve adjusted. Cruising after your WDW vacation is another option. Cruises are a great time to relax and unwind. And after running around the parks for a week, you may want some chill out time. The downfall of this option is as soon as you dock in port your vacation is over and it’s back to home you go. This brings me to the third option, which I like to call “The Cruise Sandwich”. 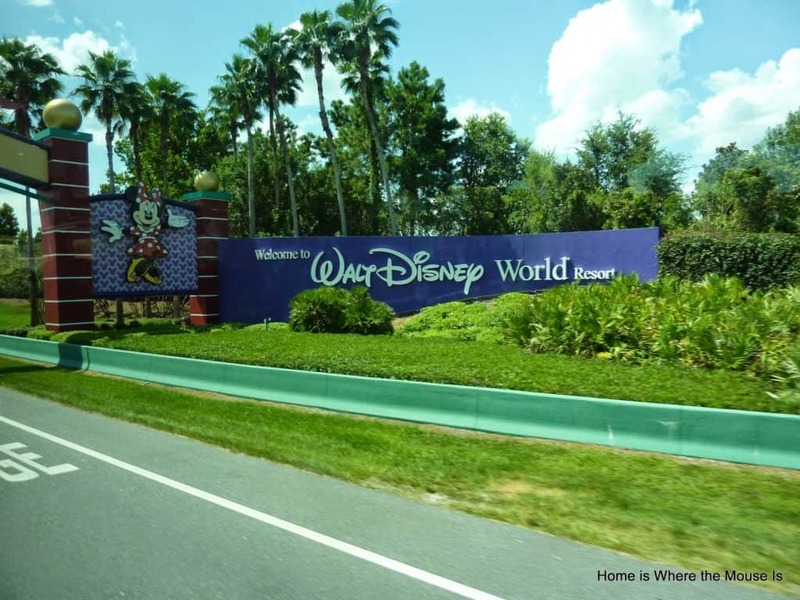 By sandwiching your cruise between two visits to WDW, you get the best of both worlds. You’ll have more vacation to look forward to and if you need to take it easy the first few days on land, that’s okay. You’ll have had some time in the parks beforehand and you can ease your way back into park touring. How do I get from one to the other? Once you’ve got your cruise and resorts stays booked, you can work out getting around. Disney’s Magical Express can get you between Orlando International Airport and your Walt Disney World Resort for free. Disney provides transportation between departure ports and the airport for a fee. But if you’re going directly from the boat to your resort, or the other away around, you’ll want to explore booking a private transportation service or possibly renting a car. If you’re driving, there is parking available at the Ports, and also in the surrounding area with shuttle service to the port.